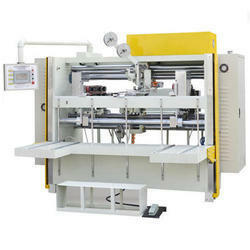 We are offering Box Stitching Machine. 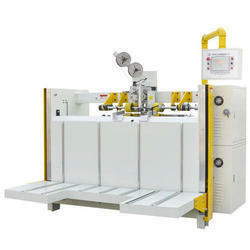 Our respected clients can avail from us a quality approved the range of Carton Box Stitching Machine. The entire group of paste head using imported materials precision machining, wear resistance, corrosion resistance. Manual Double servo drive with high precision is applied to reduce mechanical transmission so that less mechanical failure shall happen. 1) Taiwan touch screen is applied for operation, settings of stitching distance, number of stitches, varieties of stitches are easy. 2) Siemens PLC control system is applied. 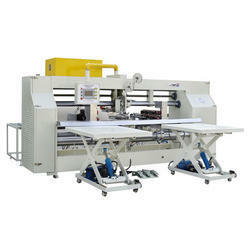 4) Whole stitching head are imported from Taiwan, made out of special die steel. 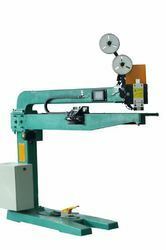 Double servo drive, operation more convenient, less mechanical transmission part, so the failure rate is lower. 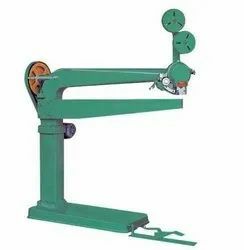 The gear reducer gear reducer used in Taiwan. Taiwan days a button switch, a travel switch, terminal blocks. Taiwan Yang Ming photoelectric switches, counters, Taiwan contacts. 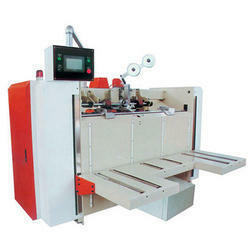 Our valued customers can purchase from us an extensive assortment of Super Natraj Corrugated Box Stitching Machine. 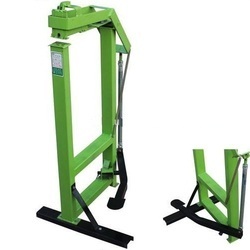 · France schneider double servo drive, accurate precision, reduce mechanical transmission part, which can effectively reduce the mechanical failure rate. · Wei lun touch screen operation, the parameters (screw, screw, nail, tailgate) transform is fast and convenient. 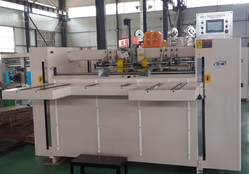 · The whole control system adopts Japanese omron PLC control system. 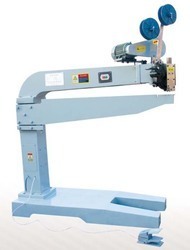 · After electric baffle, driven by stepping motor, precise size, dimension is more convenient and quick. · All the contactor control box use Siemens brand. · Photoelectric and nearly switch adopts schneider brand. · Bottom die, blade made by Japan's tungsten steel (wear). · The nail head all adopt the special steel production, for the whole computer gongs precision machining. 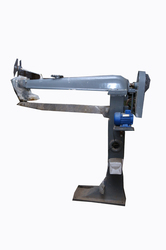 · Single screw /, double nail / /, strengthen nails (/ / / / / / two head is double for single screw) in the middle of a one-time, fit the different demands of different customers to nail. 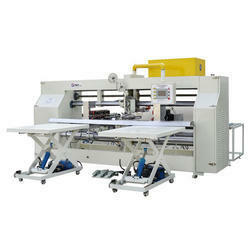 Looking for Semi Automatic Box Stitching Machine ?